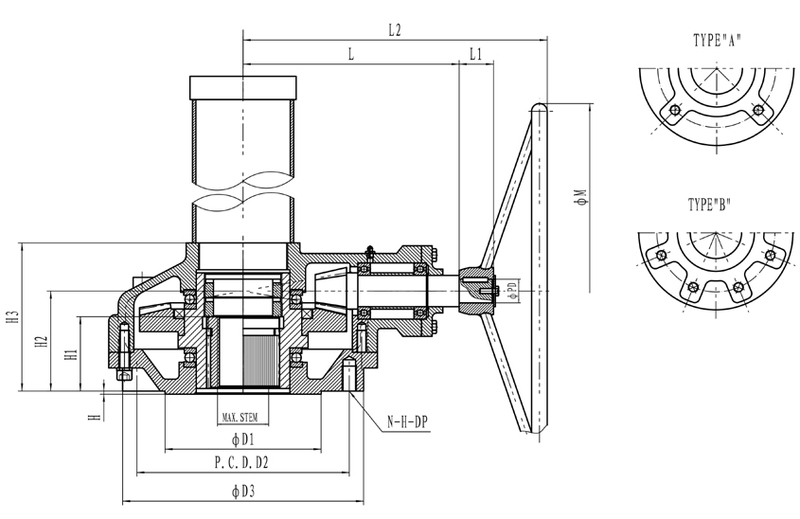 1.It is easy opening & closing that the gear box are directly mounted on Gate & Globe valve under thrust loads. 2.The gear box enable efficiency to rise over 90%.which consists of suitable bearing. 3.Regarding gear,It makes the gear box relax from noise under optimum heat treatment & precise grinding. 4.It can avoid from waterproof & oil leakage as sophisticated oil seal is used at the through part.Protection Grade Can be IP65. 5.Hand wheel & stem cover are optional index.